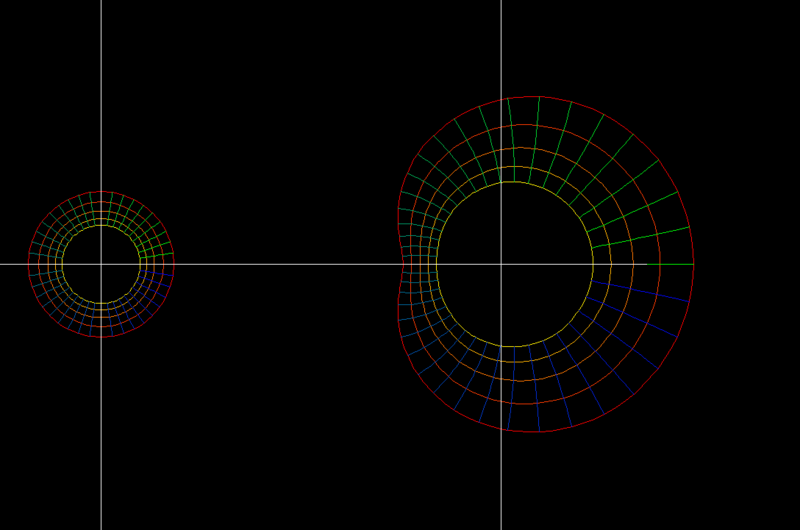 Observe that the slightly curved parameter squares in the domain are mapped to “curved squares” in the range. 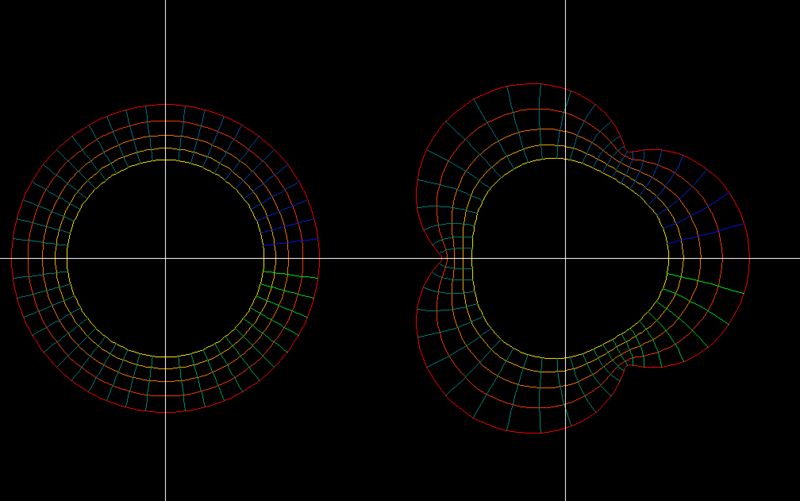 All angle preserving (=conformal) maps have this property. 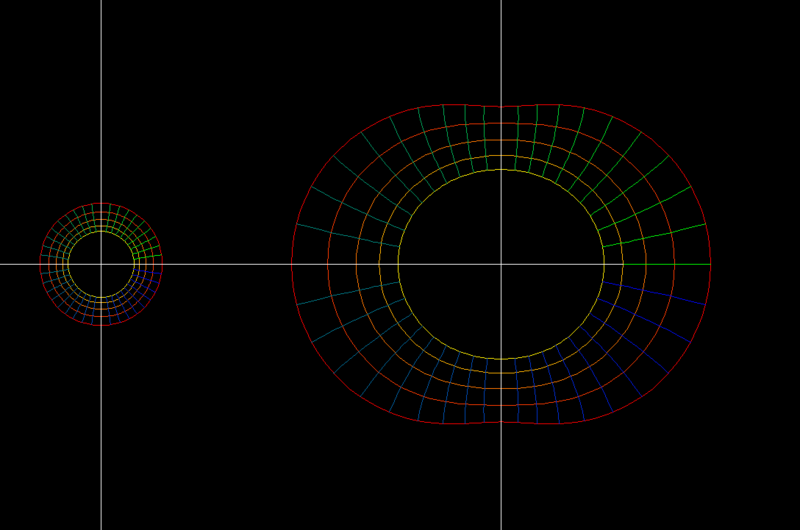 When a parameter circle of the domain hits the point z0 where f'(z0) = 0 then the image of this circle is a cardioid. 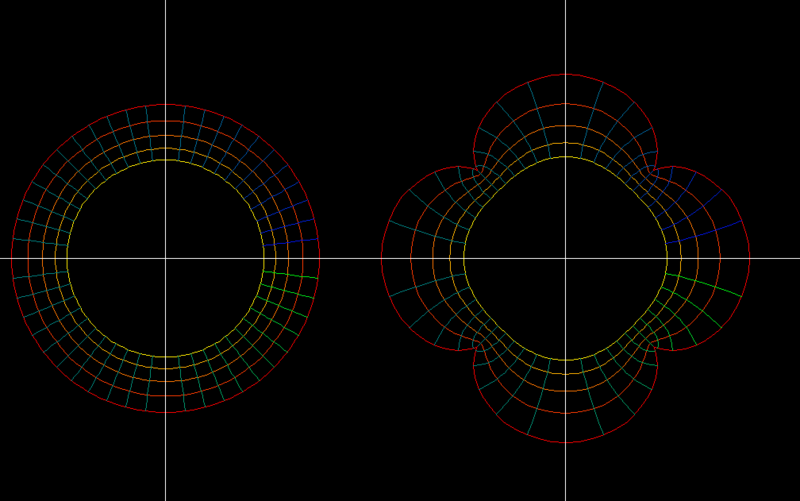 The other parameter circles are mapped to limacons. But the image is shown on the Riemann sphere, using stereographic projection from the Gaussian plane to the Riemann sphere. 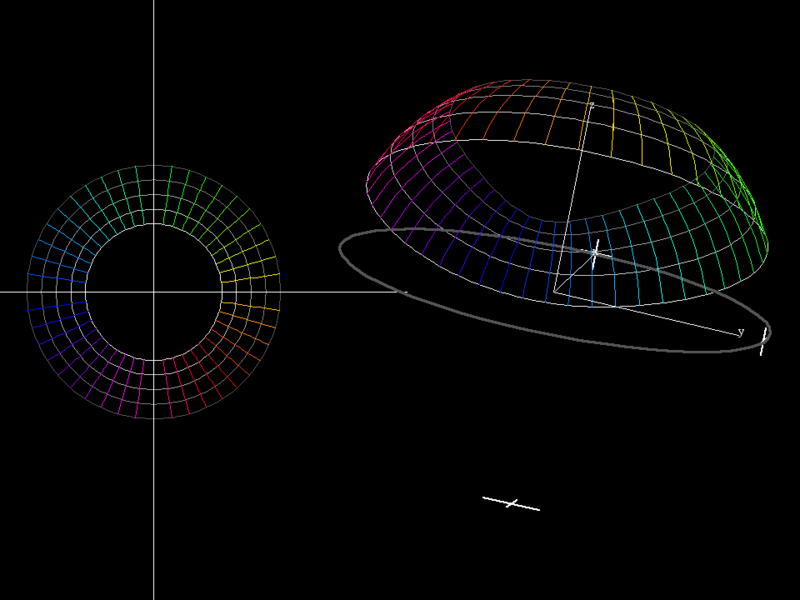 Same deformation as before on the Riemann sphere. 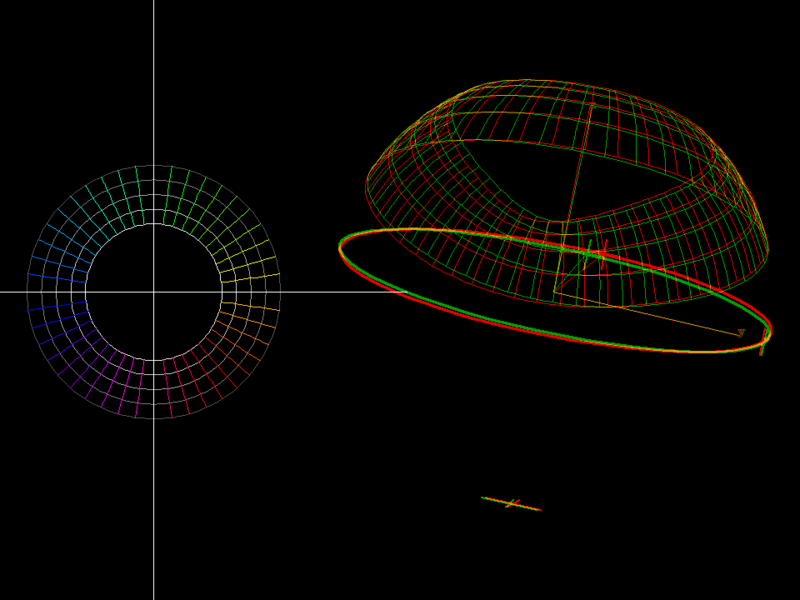 The anaglyph rendering shows the spherical shape of the image much better. In this case we have three zeros of the derivative. But the behavior of the map near these critical points is the same as in the earlier cases (near the zeros of their derivative). Observe an important fact of complex analysis: No interior point of the domain is mapped to the boundary of the image. In other words: The boundary of the image set consists only of images of boundary points. No fold lines as in the non-conformal example can occur. Observe for all conformal maps that the parameter quadrilaterals in the range near f(z) are much smaller than the parameter quadrilaterals in the domain near z where the derivative f'(z) vanishes.